Five years after Samsung launched their large Android phone with the built-in stylus, we now have the Galaxy Note 7, otherwise known as ‘the phablet.’ Although other manufacturers have tried with big phones with a built-in stylus, the Galaxy Note 7 has consistently out-performed them every year and is considered to be the best large screen Smartphone you can get. This time, there are some more additions and improvements, not least of which is a waterproof stylus and body and also an iris scanner. Although it’s named the Samsung Galaxy Note 7, it is the sixth Smartphone in this range, and Samsung purposefully missed a number so that it falls in line with the Galaxy S range. The Galaxy Note 7 has curved glass on the back and the front and by doing this Samsung have the perfect design symmetry which makes it the sleekest Galaxy Note up to now. It also makes it much easier to handle which belies the size of it, 5.7 inches diagonally across. It is also 2mm narrower than the previous model, which also adds to the ease of using with just one hand. 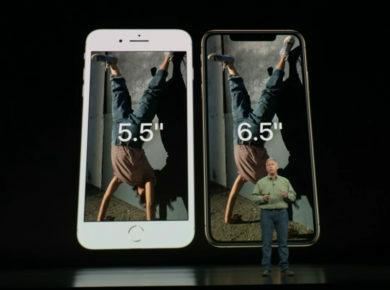 The device is 7.9mm thick and weighs 169 grams. The glass itself is exceptionally tough, coming from Corning’s Gorilla Glass 5. It makes the Note 7 far less susceptible to scratches and damage if you should drop it. Like all the top of the range smartphones from this year, it is also completely waterproof. 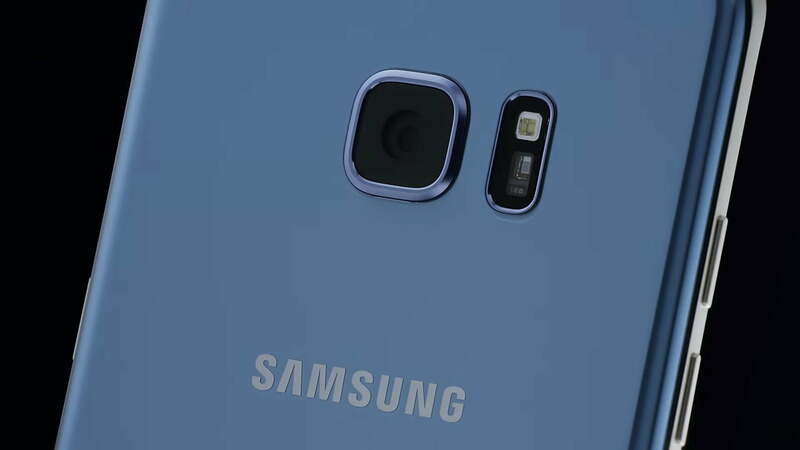 The hardware consists of the same Qualcomm processor, 4GB RAM, and 12-megapixel camera as the Galaxy S7 and S7 Edge. The Note 7 has twice the built-in memory, however, with 64GB and you can increase it via the micro SD card slot. The showpiece of the hardware is the 5.7-inch QHD Super AMOLED display which is amazingly sharp with fantastic colors, excellent viewing angles and high contrast with sunlight having little effect on it. New features of the hardware are the iris scanner and the USB Type-C port. It also contains a micro USB adapter so that the Note 7 is compatible with old accessories. There is a whole host of wireless connections available is usual, and the phone has a 3,500 mAh battery which has the option of wireless charging and rapid wired charging. Along with the Galaxy Note 7, Samsung is introducing a newer Gear VR headset which has much-improved ergonomics and a slicker design but still has the same price of $100. It connects to the device by way of a USB Type-C port, but there is also a micro USB adapter that makes it compatible with all previous Samsung phones back to the Galaxy S6. 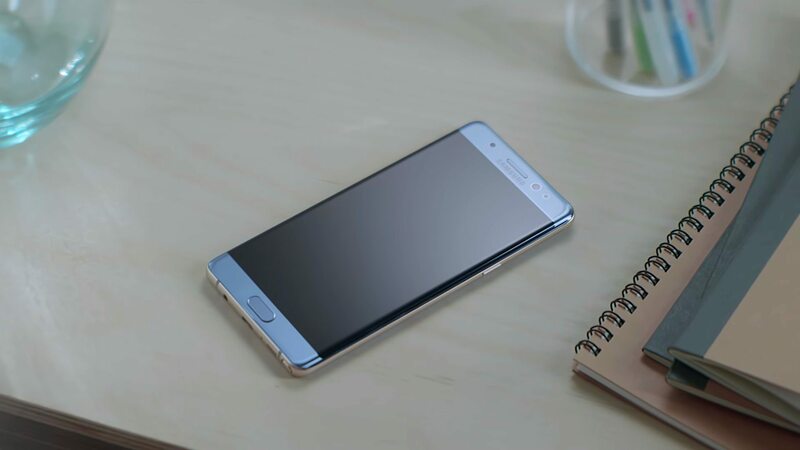 Because of the Qualcomm Snapdragon 820 chipset, the Note 7 performs very well. Even with many apps open together, performance was not noticeably any slower. The fingerprint sensor is as good, if not better than any from the Galaxy S7 range. There is another way of unlocking the handset now as well, with the iris scanner. All you need to do is swipe and look at the camera! A whole day of use is no problem at all for the Galaxy Note 7 because of the 3,500 mAh battery, and it will probably give you two days of usage if the screen time is moderate. With a compatible charger, the USB Type-C port will give you 50% charge from nothing in less than half an hour. Wireless charging is not as fast but is still handy to have. The S Pen stylus is even better than previously. It can detect 4,096 levels of pressure which is twice what it was before in the previous model. The result is a much more natural feel to it. Samsung produced this stylus in partnership with Wacom. Most of the S pen’s capabilities are now in a single app called Samsung Notes. The S pen widget, Air Command, also has extra features such as translation, magnification and the ability to make apps into widgets for easy access. The S pen also gives you the capacity to create GIF animations from any content on the screen, which is a lot of fun. For easy sharing, you can also tweak the quality of the GIFs. 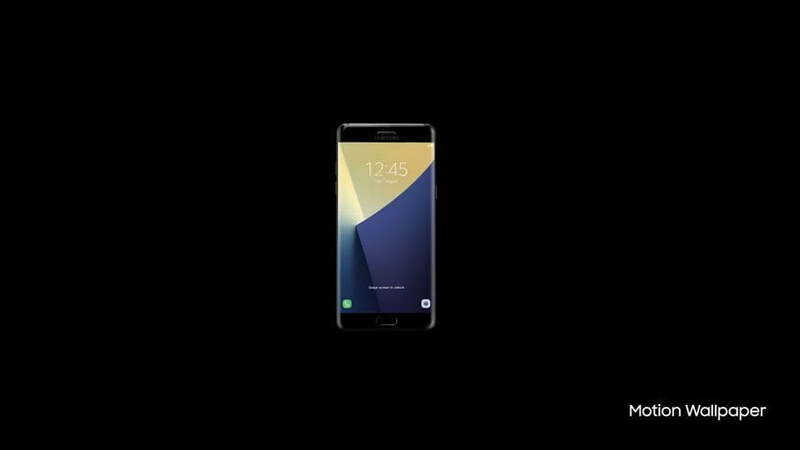 The Galaxy Note 7 runs Android Marshmallow from Google, and the OS has Samsung’s user interface which has more features and customization options. By using the curved screen, there is an edge interface, and this gives you quick access to tasks, shortcuts and information such as news reports. You can choose from many side screens and also download new ones. When Google launches the next major Android iteration, Nougat, Samsung will update the device accordingly. Note 7 has a very useful free app known as the Samsung+. It gives users helpful tips about their device, FAQ, free diagnostic help and live help so that if you have any problems or questions, help is always at your fingertips. The Samsung Note 7 has the same 12 MP dual pixel camera as the Galaxy S7 and the Galaxy S7 Edge, and this is as good as it gets. The design of the camera interface is updated very slightly, but apart from that, it is the same. The quality of the images is, of course, superb with fantastic colors and detail and you can say that the quality is even better with low light pictures than full light. It is because of the wide f/1.7 aperture. There is hardly any noise from the camera, either. The Note 7 can take 4K videos, and the quality is nearly as good as for stills. It could well be the best camera available on such devices today. Samsung Galaxy Note 7, because of the great design, great hardware, user-friendliness, and the quality build, is way ahead of the competition, and this includes the Apple iPhone. 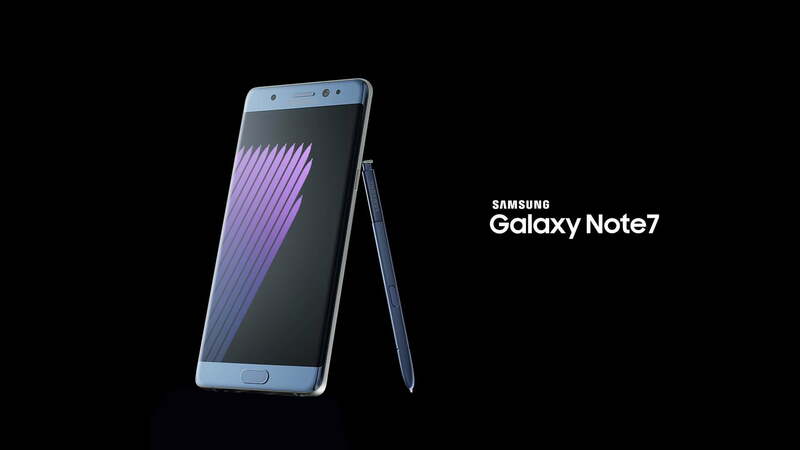 Indeed the closest rival to the Note 7 is the predecessor, the Samsung Galaxy Note 5 although the successor to the iPhone 6s plus will certainly give the Note 7 a run for its money. For now, though, the Note 7 is in a league of its own. Pricewise, the Samsung Galaxy Note 7 retails at between $850 and $880, but all the major carriers will, of course, have monthly price plans. It doesn’t stop there, however. With all the accessories such as the Gear VR headset and the Gear Fit2 fitness band, the Samsung Galaxy Note 7 is not just a Smartphone but a whole new life experience.